Vietnam e-Visa is a document providing applicants visa to enter Vietnam with online application. This visa is very convenient and easy to apply online. For Vietnam e-Visa, there is only two types available: Tourist e-Visa and business e-Visa. Tourist e-Visa is used for those who enter Vietnam for tourism purpose. Business e-Visa is used for those who enter Vietnam for working purpose. Both types are permitted the applicants to enter and exit Vietnam only one time, with maximum 30 days length of stay. 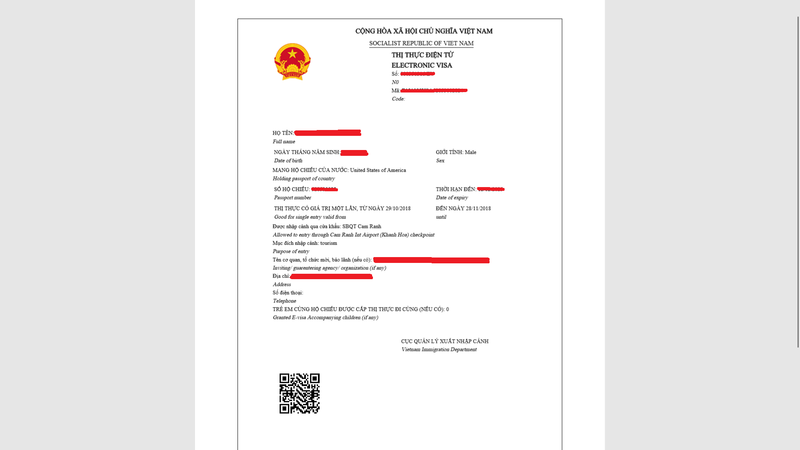 Therefore, this visa is suitable for those who just need single entry to Vietnam and stay in Vietnam in a short time (less than 30 days). For those who need longer staying in Vietnam or multiple entries to Vietnam, they can consider about Visa On Arrival.